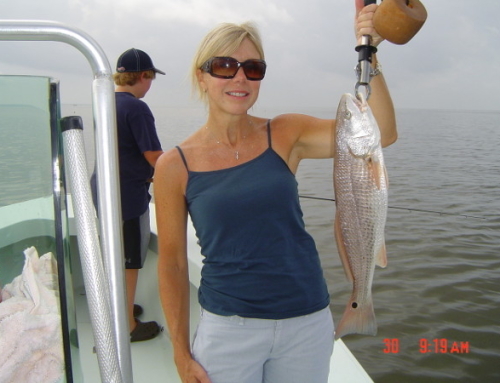 November is the time to be fishing on the causeway. Specs, reds, and flounder were had to find in October. I’ve caught some nice fish here and there with High Tide plastics on jig head while looking for specs in the rivers on the causeway. Water temps are in the low 70’s and each cold front will have water temps into the 60’s soon. Things will pickup by the time November gets here. A few more cold fronts are just what we need. If you’re looking for specs, look in the rivers north of the causeway. I drift the falling tide with soft plastics on 3/8 oz jig heads. Try depths around 12 feet and just drift in the current bouncing grubs along the bottom. I likes High Tide plastics and jig heads in chartreuse/red, root beer/chartreuse, white/chartreuse, and purple/chartreuse. If you want to throw top water this is the time but my favorite Mirolure is the suspending lures like the Catch 2000 or Catch Jr. Hit the points and flats about three feet deep along the rivers. I prefer the points that face up current. A live shrimp under a popping cork will also be a good bet. 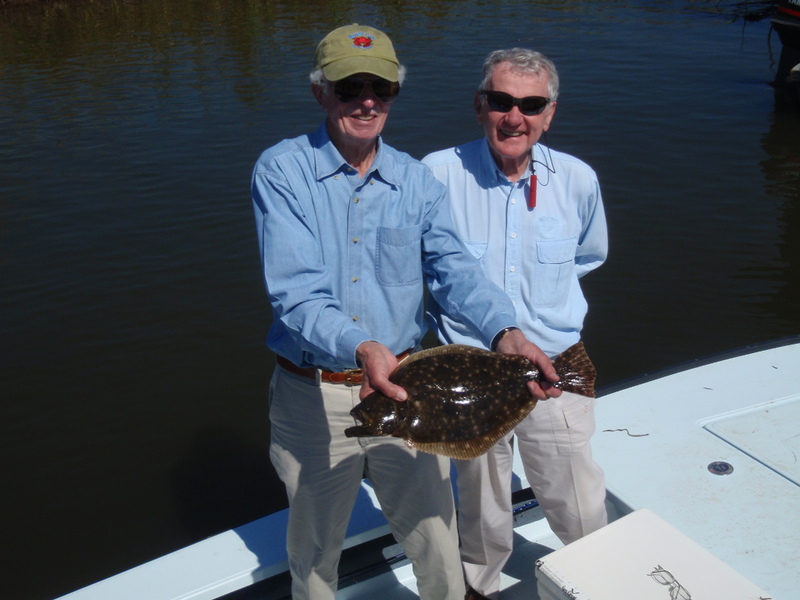 Flounder can be found on the points and flats on the rivers in the delta where the trout are feeding. Soft plastics on jig heads or a bull minnow on a carolina rig are my choices for the flat fish. This time of year I catch more flounder looking for specs on points than any other time of the year. If you’re after reds try the deep channels in the delta. Try places like north pass, turtle ditch, the canyon, and along the rivers where small creeks run into them. 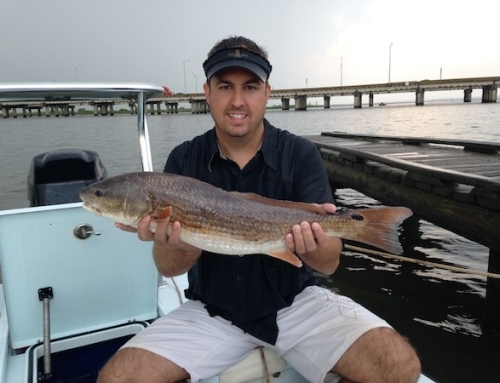 Reds will hit the same baits that specs will, but my favorite is a Hildebrandt Spinner bait. I like a 41/2 size gold blade snagless sally to get their attention. 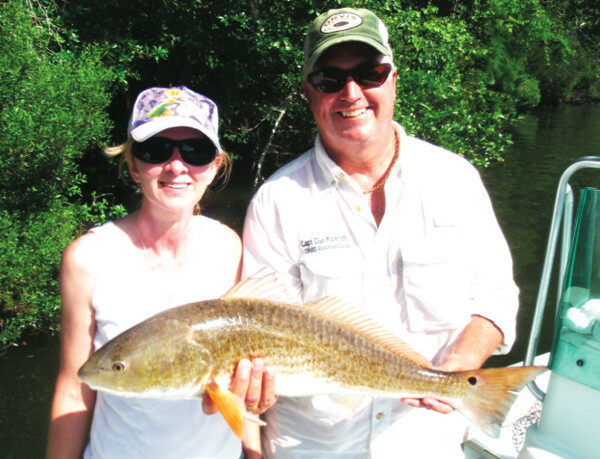 A live or dead shrimp on a carolina rig will get the deed done as well. It’s November so get out while the gettin is good. 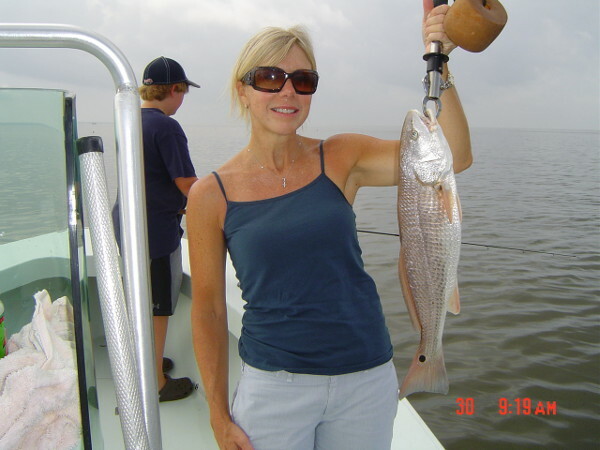 It may last into December but if it doesn’t you’ll be sorry you missed out on the best fishing the causeway has to offer.